A helicopter pilot died on Friday when his aircraft crashed while waterbombing rare winter bushfires in Australia. 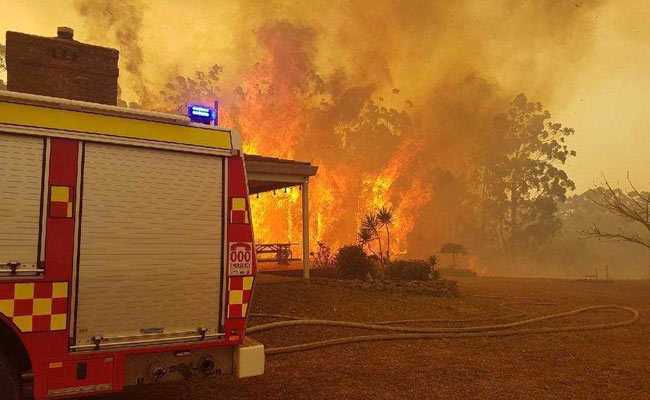 A helicopter pilot died on Friday when his aircraft crashed while waterbombing rare winter bushfires in Australia that have swept across its drought-stricken southeast, police said. "The pilot put his life on the line to protect and keep our community safe and he has paid the ultimate price," regional politician Shelley Hancock told the Milton-Ulladulla Times. Last month was Australia's fifth-driest July on record, in New South Wales' driest January-to-July period since 1965.